You say potato? 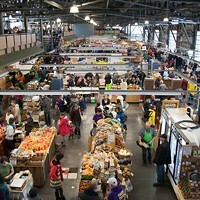 Head to the Halifax Seaport Farmers' Market. Being from the UK, Sara Kirk knows the power of a good baked potato. 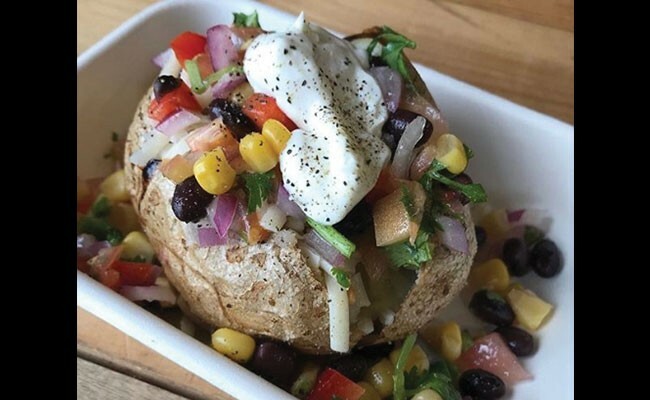 But it's not a nostalgia for home or a craving for a loaded spud that lead to her launch Just Baked Potatoes at the Halifax Seaport Farmers' Market in mid-January. "I would say it's more research-informed than passion at this point in time. 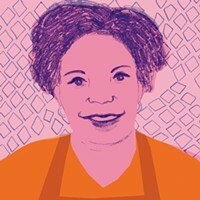 But the main idea is wanting to do something to disrupt the food system we have currently," she says. A prof in health promotion at Dalhousie University and mother, Kirk has loads of facts to back up her small business—starting with the idea our environment can both help or hinder us when it comes to healthy eating. "We found when it comes to children and families, people tend to be so over-scheduled," she says. 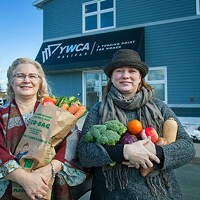 Just Baked Potatoes—which Kirk runs with her teenage son—aims to support people on the go with healthy eating and promote local farmers and sustainable snacking. 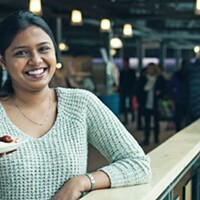 Her portable potatoes from Elmridge Farms take inspiration from popular street snacks in Turkey and Israel, and are served in a compostable container, with a buffet-style selection of seasonally-inspired, market-sourced toppings. Kirk calls the start-up a "demonstration project," and while she and her son are testing the waters every weekend at the market, a long-term goal is to become mobile (the ultimate dream is a solar-powered food truck) so that Just Baked can show up at the sporting events and extra-circular where families need good food, fast. "I think it's about changing the way people think," she says. Thanks to great volunteers, The Mobile Food Market continues to work around barriers to bring fresh food to far flung neighbourhoods. 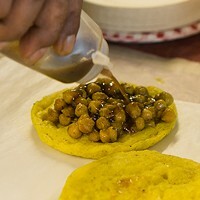 Aleem Ibrahim brings the epicentre of Caribbean cuisine to Halifax with his Trinidadian street food, Doubles PLUS. After craving authentic south Indian food, two friends to cooked up their own market-based eatery.